Like most of men’s fashion, guys don’t have a lot of options when it comes to sunglasses. You either go with one of the classic frames or you go for a skate/snowboard sport style. We’re more of the classic style around here, but unfortunately some of the classics don’t fit in as well as others. Case in point: The Clubmaster. A tried-and-true staple for several decades in the middle of the last century, these part plastic part metal sunglasses were a favorite among everyone from the middle-aged corporate men all the way to the rebellious teens. 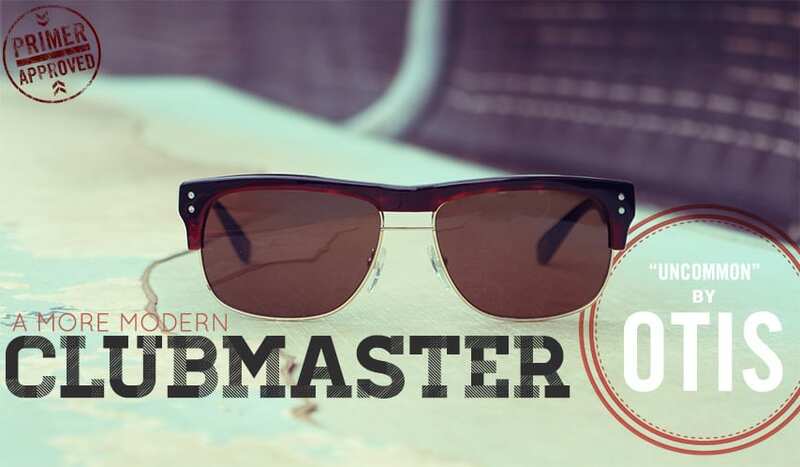 While still a great choice, especially over some 90’s wraparounds, the original Clubmaster does give a feeling of a different time. But now, Otis, a surf optics company out of Australia is coming stateside and bringing a sleeker, thinner Clubmaster-style shade with them. One of my new favorites, these shades are similar to my beloved but discontinued Anon sunglasses, but with a trimmer silhouette. Most notably missing from these are the original Clubmaster's “lips” on each side of the lenses, which depending on the person sporting them, can make them look like they're wearing women's or children's sunglasses. I like to think of these as square-framed aviators on the bottom, and wayfarers on top, creating a classy set of shades that will look right at home with a suit or a t-shirt. But these aren’t all looks. 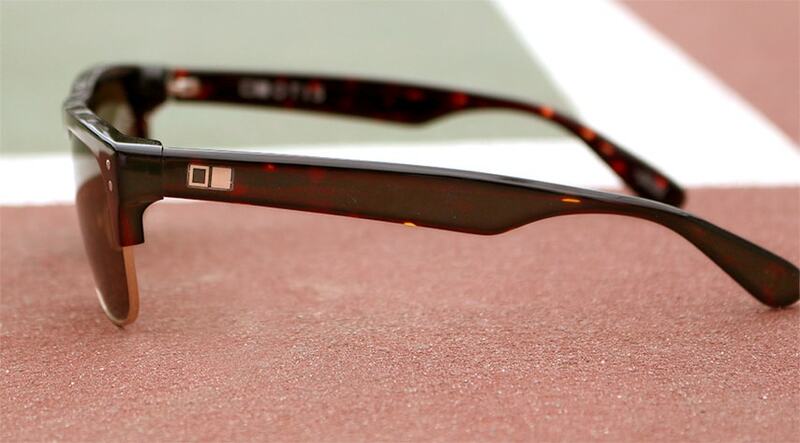 The Otis model is made with mineral glass, the most distortion free, optically correct, scratch-resistant lens material. I hate it when sunglasses cause a magnifying distortion when worn or removed. With these, it’s like nothing is there. The top is made out of Italian acetate by hand. Probably the nicest sunglasses I’ve owned, though they do come at a price. The “Uncommon” model shown here retails at $190, so definitely not a great choice if you lose your sunglasses a lot. But if you’ve worked your way through a few pairs of cheaper sunglasses like the Knockarounds and are ready for something a bit sturdier with fantastic lenses, you will not be disappointed. As the weather changes, what are your go-to sunglasses? Let me know in the comments! Those are mighty solid, Andrew. I’ve been looking for a new pair of sunglasses. Thanks for the suggestion! Andrew, these look great (and very classy) but I think I’m going to have to stick with the Don Draper AO’s that were featured on Primer some time ago. $190 for non-polarized shades? no thanks. Andrew, you are the man! I don’t know where I’d be without Primer! Everything I ever need, somehow seems to pop up on here. Really enjoy waiting for all the new articles. I just wish you had maybe a digital edition on the Apple store. No need for my Men’s Health mags anymore. Keep up the great work! Thanks Jarred, I really appreciate that!! Hi Andrew, what are your thoughts about the RL Polo PH4076 sunglasses in Matte Havana? I just recently purchased a pair and I would really recommend it. Made by luxottica and reasonably priced at an average of $70-85 in amazon and probably Ebay. I just want to share this with everyone who is currently in the market in search of a new pair of sunglasses. I like ’em! Good find.